"The Spice village in Kumily evokes the essence of a mountain tribal village of Kerala. Settled in the blissful landscape of Periyar, Thekkady, the heritage resort offers a harmonious experience of living amid nature. 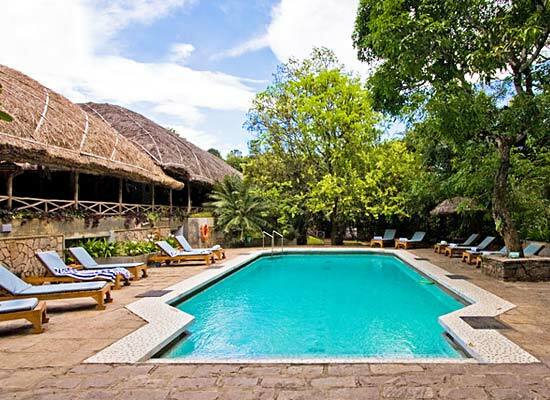 The eco-friendly lodgings are built in accordance to the tribal communities of the region. Indulge in Ayurveda along with Yoga and meditation, in the pristine therapeutic ambiance. The soothing character of the resort offers a holistic healing solution for body, mind and soul creating a vacation of cherished experiences. 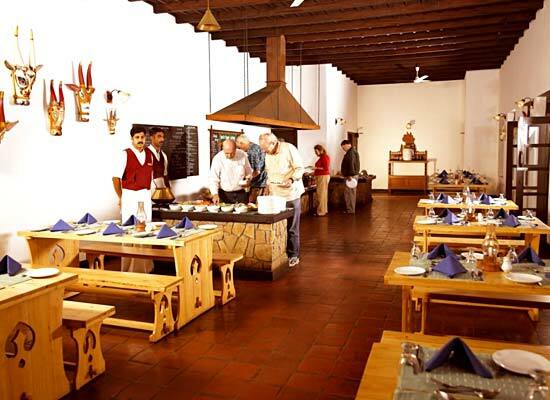 Spice Village in Thekkady carries an old-world charm till date. 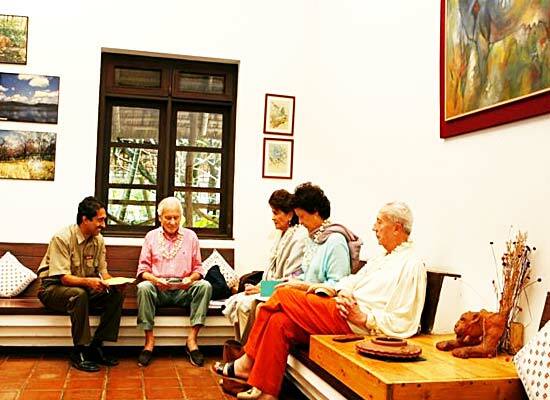 the visiting Portuguese merchants who visited the place for trading purpose, built large palatable mansions, only to be transformed into Heritage Hotels in Thekkady in course of time. They are the heritage properties of the nation and ensure elitist living amidst a serene ambiance created by the backwaters and sea in Kerala. 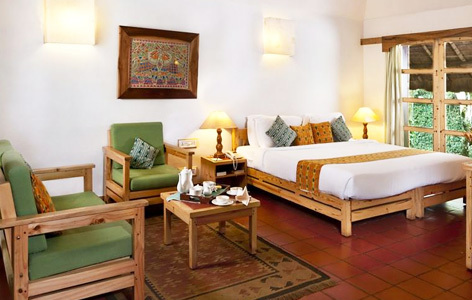 The accommodations of Spice Village are created from the forest itself. The cottages are totally eco-friendly. The thatched roofs are made of elephant grass, adopted from the tribal settlements of the region. Local woodcraft, coir mats on bare stone floors and the natural elements, adhere to the elegance of natural living. 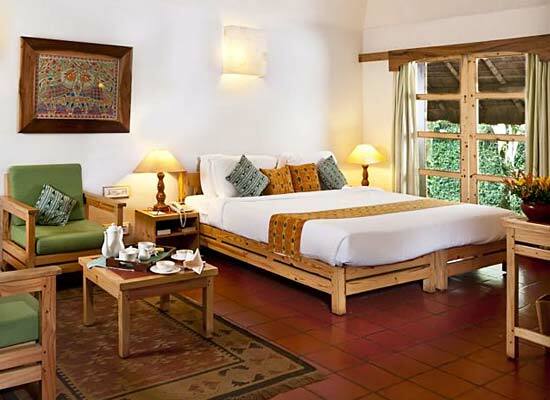 The aroma of spices and the sounds of the forests waft into your rooms. Modern bathrooms and other facilitiespamper guests, though it is the simple inhabitance that enchants you. The Spice Village offers the same simplicity of the resort in its dining. The Tiffin room is a 100-year old setting. The simple thatched roof of the restaurant creates the same rustic charm. The cuisines served here combine the delicacy of fresh spices, garden-fresh produce and the fresh catch of the river. The gastronomy combines the traditional specialties as well as other Indian dishes. Indulge in an appetizing experience for taste buds, senses and dining. The Woodhouse bar in the Spice Village is the perfect place to end your day. Billiards, library, varieties of drinks creates a relaxing ambiance, perfect for travelers. Thekkady is a splendid place in Kerala; with a close proximity to the Periyar Wildlife Sanctuary which is nestled at the conjunction of the Western Ghats and Arabian Sea, Thekkady boasts of being a hot tourist spot. Replete with felled trees, moist ground and elephant grass, this place is apt for adventure tourism also. Thekkady is therefore visited by many people from across the country. It is also a favorite picnic spot of the foreigners.